To celebrate Team 888 Poker achievements at the World Series Of Poker there will be three special $3,000 guaranteed tournaments on the 10th November. Register soon because these tournaments are limited to 3,000 players, buy-in for only 9¢ and play for your share of the $3,000 guaranteed prize pool. 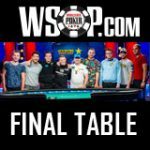 Team 888Poker had three of their sponsored pros on the 2012 WSOP Main Event final table this year: Jesse Sylvia, Jake Balsiger and Russell Thomas. 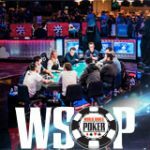 Although they all failed to win the title they all collectively won an impressive $11.9 million in WSOP winnings for finishing in 2nd, 3rd and 4th place respectively. The 2012 WSOP final table lasted more than 18 hours of mind-blowing action and was great TV exposure for 888Poker. 888 Poker offer ridiculously awesome poker promotions including: 888 Poker Freeroll Frenzy which offers a $10,000 prize pool every day until 5th November. This November the 888 Poker SUPER XL Series and qualifiers offer players the chance to win their share of $2 million in guaranteed prize pools. New players who sign-up are welcomed with a $8 Free 888 Poker bonus, no deposited required. Celebrate Team 888 Poker's achievement in the 2012 WSOP Main Event and win your share of $9,000 in prize pools. 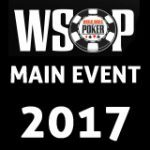 Players can buy-in to these tournaments for an insanely low buy-in of 9¢. The three Team 888 Poker WSOP Glory tournaments all take place at different times on the 10th November 2012. 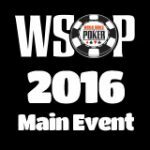 The Team 888poker WSOP Glory tournaments can be located in the lobby by clicking on the tournament tab. 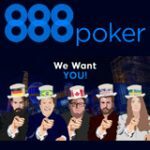 If you have not yet signed up for a Free 888 Poker account, join today to take advantage of these offers. 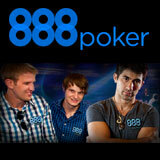 Download 888Poker - get $8 free, no deposit poker bonus. This November 888 Poker SUPER XL Series is your shot at $2 million in guaranteed prize pools, the online poker series runs from 17 - 25 November 2012. Qualify for your seat in the low buy-in satellites which start from as low as 8¢. There are only a few days left of the 888 Poker Freeroll Frenzy, sign-up as a new player and get two free tournament tickets with no deposit required. Play for your share of the daily $10,000 888 Poker freeroll tournament until 5th November.